The chamber events are open to anyone unless otherwise noted. Members enjoy discounted registration rates. 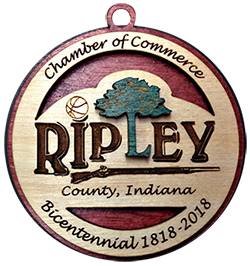 The Ripley County Chamber of Commerce events connect you with business leaders, influencers, legislators and others who make things happen in Ripley County. Business community events let you explore even more. Join us and be part of something greater.